Amy Poehler acknowledges the universal truth that every mother needs a wife–a person who supports, encourages, and empowers (be it a babysitter, a nanny, family, friends, or husband) who enables the mother to work and fulfil personal goals. The same is true for writers. But for writers, our wives are critique partners, beta readers, and editors. It is so difficult to be objective about one’s own work. We are too close. We have our own insecurities that often have nothing to do with a reader’s experience of our work. So the best way to strengthen our weaknesses is to identify them. The best way to do that? Feedback. Absolutely invaluable. ENTER HERE with code “Winged Pen Query & 1st Page” for a chance to win one of TWO query and first page critique, from either Gabrielle Byrne or from Julie Artz. ENTER HERE with code “BP-Q5” for a chance to win a query and first five pages critique from literary agent Beth Phelan. Yes, that Beth Phelan. Of #DVpit fame. ENTER HERE with code “SP5CRIT” for a chance to win a five page critique from author Suzanne Purvis. (I’ve taken classes from Suzanne Purvis, and she has a keen and excellent eye. Great opportunity here for some excellent insight). My secret weapon for Nano is my three act eight sequence plot chart–something that gives me a structure to write within, but also allows freedom for my pantser heart to dance and sing. Head on over to Operation Awesome for my guest post showing you how to put together your own outline. I put the wrong link for my DIYMFA guest post earlier, but that’s been fixed now. If you want to head there, here’s the correct link. It’s November, which means it’s Nanowrimo (National Novel Writing Month) time. And that also means Scrivathon is coming up fast. Check out my guest post over on DIYMFA where I set out 5 things that make Scrivathon a great event. See you there! ENTER HERE with code “KU-3CH” for a chance to win a 3 chapter edit up to 35 pages from editor Katelyn Uplinger. This is for authors who want someone to look over their first chapter. Katelyn will use Track Changes and give you an editorial letter, addressing setting to dialogue tags. This is a good way to get a feel for any weaknesses and to strengthen them in your manuscript. The draw will close at 11:59pm on the 12 November 2016. Winners will be announced on the blog and on Twitter. Good luck! ENTER FOR A CHANCE TO WIN HERE. With one month to go til the Scrivathon, we’re getting everything ready. Testing out the word count application, and I’ll be putting up the rest of the raffle prizes over the weekend. Meanwhile some awesome Scrivathoners are blogging about Scrivathong. Here Hoda interviews me about the event for her blog. I had the chance to interview Alice on the upcoming Scrivathon. She tells me all about the event, and how to participate in the charity word sprint. 1. Hi, Alice. Thank you so much for doing this. Can you tell us about Scrivathon and when it’s taking place? Alice : Scrivathon is a 24 hour write-athon, open to everyone who wants to join. For those who wish to support Syria Relief, our chosen charity, we have a fundraising team on www.justgiving.com/teams/scrivathon. Individuals can create their own fundraising page and link it to the team page so that their total contributes to the event total. For those who would simply like to donate, we have a dedicated donation page here: www.justgiving.com/scrivathon and a have a host of incredible raffle prizes so anyone who would like to donate can enter for a chance to win. We have an incredible community. I mentioned this before about Pitch Wars, those amazing people who were willing to help total strangers with their writing. Everywhere I turn there is an abundance of goodwill and sheer awesomeness. And when I put the call out for Scrivathon raffle prizes, the community did not disappoint. I want to hug every single one of our generous sponsors. They are amazing. The prizes they’ve donated are INCREDIBLE! I’ve listed them below, and there are still more to come. Keep an eye on the blog and on the twitter hashtag #scrivprize4sr for the rafflecopter raffle prizes. Some are live already, the rest will go live over the next couple of weeks. All the raffle draws you can enter now are listed here. To enter, follow the instructions in the rafflecopter link on the blog post of each prize. Each donation to justgiving.com/scrivathon is eligible for one prize draw entry. You can make as many donations as you wish. Every dollar is appreciated. To get to know each other, and learn more about Scrivathon and our charity Syria Relief, we are doing a Scrivathon Blog Hop and visiting fellow Scrivathoners. Check them out below! If you’d like to join the fun, send me an email (aychao[at]aychao[dot]com). 5 page critique by Suzanne Purvis, author & writing teacher. 5 page critique by Brenda Drake, author & Pitch Wars founder. 10 page critique by Maria Guglielmo, author and surgeon. THREE x “3 chapter edits” by Author Accelerator, home to Lisa Cron’s Story Genius. Signed copy of A Year and a Day, Isabelle Broom’s new release. Signed copy of Thief of Lies by Brenda Drake. Signed copy of Crown of Ice by Vicki L Weavil (U.S. and Canada only). Three x Save the Cat! Story Structure downloads from Save the Cat! ….and more to come. Keep an eye on the blog and on the twitter hashtag #scrivprize4sr for the rafflecopter raffle prizes. Serious writers use serious apps. Scrivener is one of the best out there. This prize is a voucher for a regular licence for Scrivener for Windows desktop. Please note that the voucher is platform-specific and cannot be redeemed against purchase of a licence for an alternative platform. Value $40. Click here for the Mac version. 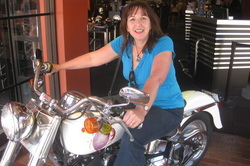 Win a five page critique from author Suzanne Purvis. Not sure if your pacing is working? Filter words or bloated sentences? Suzanne has the hawk eyes to zero in on rough spots and the suggestions to get your prose pitch perfect. Serious writers use serious apps. Scrivener is one of the best out there. This prize is a voucher for a regular licence for Scrivener for Mac desktop. Please note that the voucher is platform-specific and cannot be redeemed against purchase of a licence for an alternative platform. Value $45. Click here for the Windows version.